Cooro and the others find themselves in a town that has just been graced with the presence of an angel. 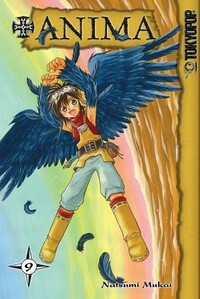 Cooro realizes right away that the angel is a +Anima. But the "angel" doesn't like being discovered and turns the town against Cooro telling them he's a messenger of death. When researchers arrive to take the angel away, will Cooro and friends be able to save him?